للمسافرين الذين يرغبون أن يعيشو كل ما تقدمه بيشينو, Bicheno by the Bay هو الخيار الأمثل. يمكن من هنا للضيوف الاستمتاع بسهولة الوصول إلى كل ما تقدمه هذه المدينة النابضة بالحياة. سوف يعشق النزلاء موقع هذا الفندق، فهو قريب من أهم المعالم السياحية في المدينة كمثل ‪Bicheno's Motorcycle Museum & Restoration‬, ‪Bicheno Blowhole‬, Waubs Bay Gallery . إن الخدمات التي يقدمها Bicheno by the Bay تضمن للنزلاء إقامة مريحة. يقدم الفندق تخزين الأمتعة, صف السيارات, مكتبة, مكان مخصص للتدخين لضمان الراحة القصوى لضيوفه. لقد جهزت هذه الإقامة الفندقية بعناية فائقة لتوفر مستوى عالي من الراحة. في بعض الغرف يجد النزيل تلفزيون بشاشة مسطحة, غرف لغير المدخنين, مكيف هواء, تدفئة, شرفة/ تراس. إن حمام سباحة خارجي, ملعب تنس, حديقة هو المكان الأمثل في الفندق للاسترخاء وتفريغ طاقتك بعد نهار طويل. إن Bicheno by the Bay هو خيارك لخدمة الفنادق الراقية في بيشينو. For some reason our laptop was unable to log into their wifi. The reception spent a long time trying but to no avail. She very kindly let me use the property's computer to do our flight check-ins, and deal with an email that required an urgent response, which saved us from a lot of stress. We were under the impression the room would have a dvd player, but it didn't seem to - or was well hidden. If this is important to you, perhaps confirm beforehand. Have cracking sound from the wooden floor. The rest should be ok. We stayed 2 nights here. This accomdation is very closed to the Pole Hole, just around 7 mins by walk. We saw penguin around the pole hole without joining the tour. the staff were very helpful and nice. We forgot to turn off the lights of our rental car and could not start it next day morning, the staff helped us with his car and we could continue our trip, thanks them a lot. The little cottages just stole my heart away. Not only that, the amentities within the cottage is sufficient to stay for long. 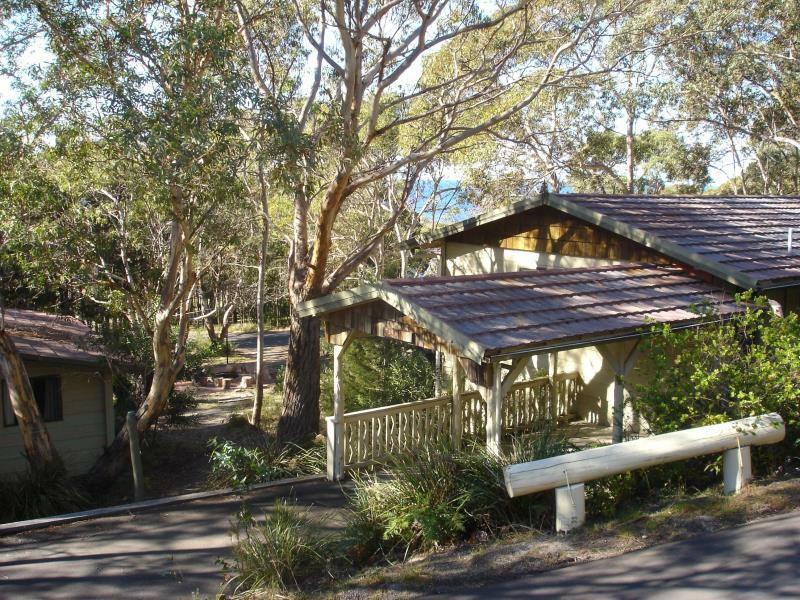 It is also located at a walkable distance to Bicheno town centre where you have food around. The room is very clean and comfortable with a nice little veranda outside. The toilet is big. The room is equipped with nice plates and bowls for guest who wish to bring back food from the nearby town. Our room faced a little pond where guests can actually do some canoeing. all good. convenient location, 5 mins walking distance to town center and supermarket. the entrance of Whelers Lookout is just opposit to the hotel. Staffs were friendly and helpful, transport booking could be done by reception desk. just net work was in a strict limit. We had received a warm and friendly welcome upon reaching. There was space to park our car in front of the motel room by the lake. The room was clean and the bathroom looked refurbished and was very spacious. We were happy with the heating (bed, air-conditioning and bathroom) as the weather was quite cold. I would definitely choose to stay there again next time. Super value for the price! 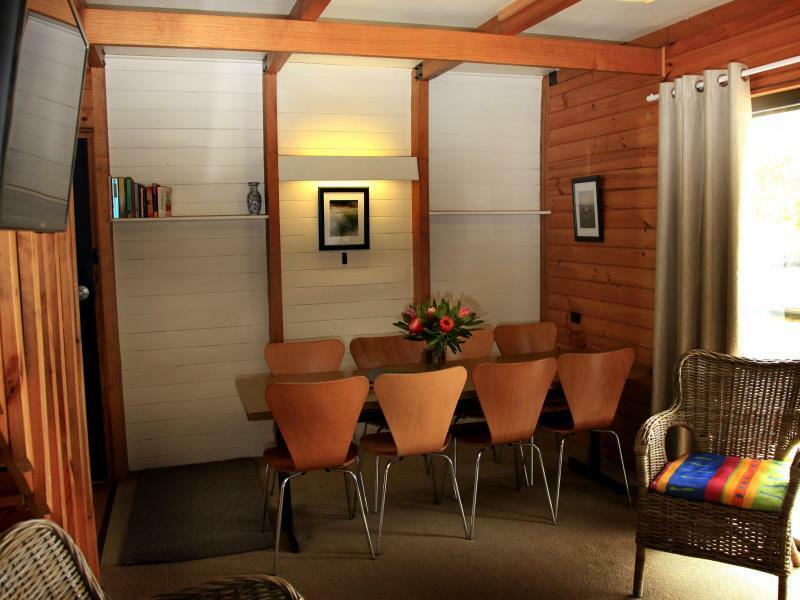 Very cosy and comfortable with its beautifully-designed interior. Would definitely come back here if I happen to travel to Wineglass Bay/Bicheno. However, the separated third room outside and next to the porch should be informed beforehand. No one ended up sleeping in that isolated room due to its remoteness from the rest of the house. The receptionist is very friendly and the house is beautiful and clean. Worth it. I wish we'd had more than a couple of nights, so we could have taken more advantage of having a fullY equipped cabin. 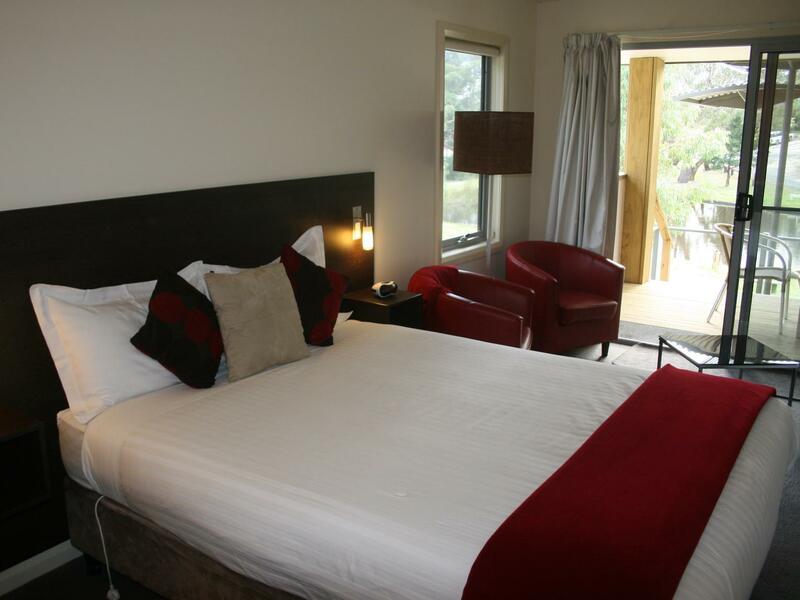 Really enjoyed the location-great view, close to Freycinet park, walkable to the Devils in the Dark and penguin tours. 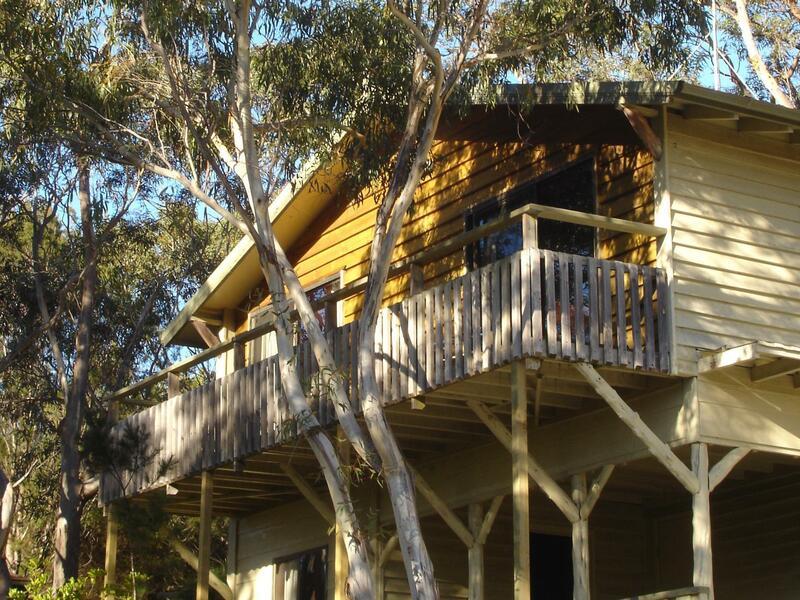 The cottages are designed with style and close to wild life animals like penguins and wallabies. 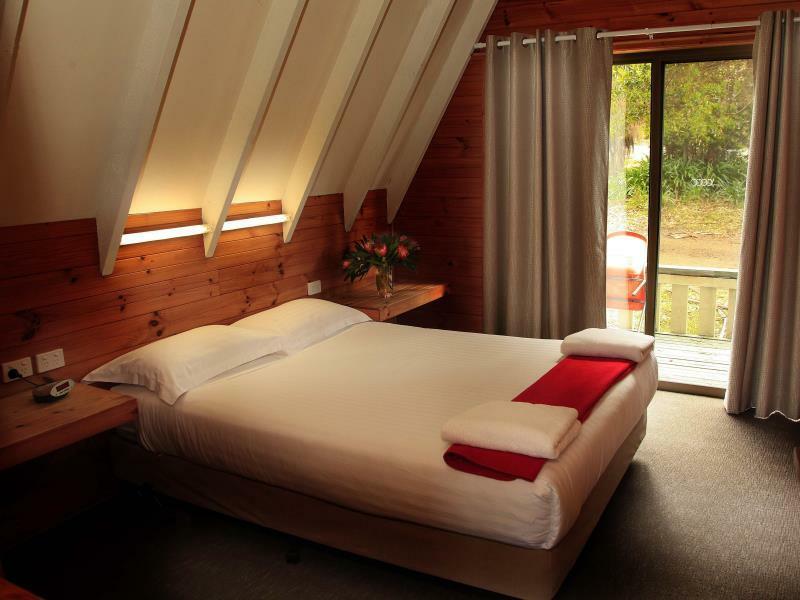 It was very comfortable staying in here, I enjoyed gazing at the stars at night too. I would like to stay for more time here next time. What a beautiful spot. We stayed in one of the motel style units by the man made lake. Very cosy. Nil issues with car parking and access. Great heated pool! Easy walk to the beach and Bicheno blowhole. Will definitely stay again. No toiletries except for soap bar. Different kind of worm, spider etc.. Will be found in the apartment. Is very cold in the night. Waking distance to supermarket. About all stores might close very early. Good location. It's just few minutes walk to the blowhole. Cosy and tidy room with well-equipped kitchen. 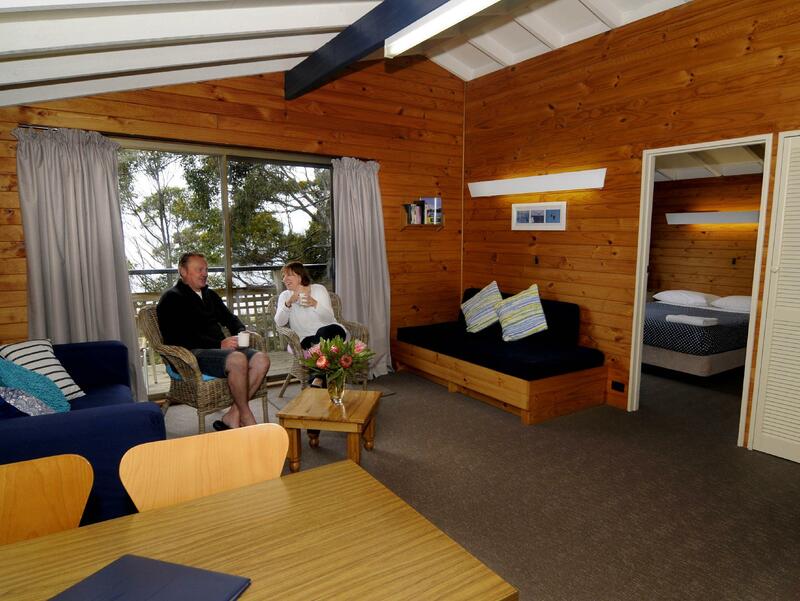 Bicheno by the Bay is a good place to stay. It's just few minutes walk to the blowhole. It is also very close to the town centre where the supermarket locates. The owners, Barbara and Andrew, are very helpful and friendly. Thank you very much to let us have an unforgettable stay!